Once upon a time, not long, long ago, the Democratic Party turned to its long-standing, loyal supporters and backers in the American Jewish community and assured them – with 100 percent sincerity – that it would stand up for them against anti-Semitism. I recently read a superb essay in The New York Times by Bret Stephens, called “Ilhan Omar Knows Exactly What She Is Doing: The Minnesota Democrat is Bringing Corbynism to the Democratic Party.” “Corbynism” is a reference to the tactics Jeremy Corbyn, who became leader of the British Labour Party in 2015. Before that, he was a maverick MP on the far left of the party, befriending the IRA, Hamas, and others. He also has had a habit of sharing platforms with Holocaust deniers. Since taking control of the party, Corbyn has thrown its doors open to others on the far left, and his supporters have mounted a campaign of intimidation against mainstream Labour MPs. Corbyn claims he has “zero tolerance” for “racism of all kinds,” but his rise has brought a massive injection of anti-Semitism and anti-Semites into the party. Recently, 11 Labour MPs, tired of fighting the leadership of a party they knew had become institutionally anti-Semitic and facing threats of deselection, quit. “Corbynism,” then, means entry into a mainstream party by people who claim also to be mainstream but hijack the party and transform it into something radically different and sinister. In his piece, Stephens addressed Rep. Ilhan Omar’s history of anti-Israel and anti-Semitic tweets. Inevitably, Omar found strong support from Alexandria Ocasio-Cortez, who recently offended American Jews by having a long cozy phone call with… Jeremy Corbyn! And Ocasio-Cortez has also threatened deselection against fellow Democrats. I wonder where she gets her ideas from. The new crop of Democratic freshmen are not Omar’s only supporters. Members of the Black Caucus, the kind who love to have their pictures taken with Louis Farrakhan, rallied to her defense too. Jim Clyburn was one, explaining that her suffering is more real than the pain of the children of Jews who survived the gas chambers. More worrisome is the fact that presidential hopefuls such as Kamala Harris, Bernie Sanders, and Elizabeth Warren support Omar too, portraying her as a victim of Islamophobia. The Nancy Pelosi-orchestrated resolution that, without naming Omar, condemned her for spewing anti-Semitism, was amended to condemn “all forms” of racism. Omar must have laughed contentedly and happily voted for the motion! Subsuming anti-Semitism under general, bland, catch-all anti-racist wording is a typical Corbyn and British Labour tactic. Instead of condemning the racist Omar, the reworded motion turned her into the victim. Even Corbyn can no longer get away with this ploy in the UK. He has been forced by critics in the media to address anti-Semitism as anti-Semitism and not try to dilute it in a cholent of other hatreds. The Democrats, however, apparently can get away with diluting their anti-Semitism in the U.S. Still, the situation here is not as bad as in the UK – yet. It could get that bad very soon. The new Democrats’ growing attack on Jews employs tried-and-tested strategies, tropes, and caricatures. They come from the Middle Ages. They come from Nazi Germany. And increasingly, they come from those intent on bringing Corbynism to the Democratic Party. Once these are tolerated and accepted, the new Democrats will go after others who did not support their anti-Semitism or merely facilitated it through indifference and silence. Study carefully those in the Democratic Party who supported changing the wording of Nancy Pelosi’s resolution. They are at the core of the threat. They permit Jew hatred to grow. Tragically, there are many Jews among them. If the Democrats do not stamp out this clear cancer before it metastasizes further, the American Jewish community, like the British one, will be in real danger – as will America. And if the Democratic Party’s Jewish base still doesn’t get that, it really does believe in fairy tales. Previous articleGoldstein on Gelt: What Does a Successful Investment Portfolio Look Like? 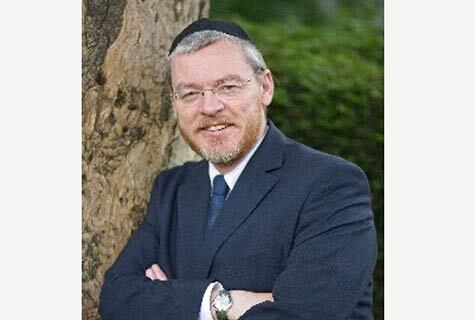 Rabbi YY Rubinstein has been a regular broadcaster on BBC National TV and Radio for over twenty years. The author of ten books – the latest is “Jewish Life and Jewish Laughter” – and a contributor to several Jewish publications, he lectures on Jewish topics around the world. His Jewish Press column appears monthly.